A Guide to Live Action Superhero Entertainment – Comic POW! This week instead of an episode of Marvel’s Agents of S.H.I.E.L.D. ABC aired a special about the Marvel Cinematic Universe. Marvel Studios: Assembling a Universe was basically a documentary discussing the process that Marvel Studios went through to create their series of interconnected movies and at the end gave a few teases for upcoming projects. My friends and I, and according to the website Television by the Numbers more than four million other people all tuned in to watch. Four million viewers isn’t going to win any time slots but it was still good enough to give ABC third place for the hour and drew significantly more viewers than the rerun of S.H.I.E.L.D. they aired on February 20th. More interesting to me was the fact that ABC was willing to air it at all. They have enough faith in the popularity of comic book entertainment that they were willing to air a documentary primarily about movies that people have already seen during primetime. If that isn’t a sign that we are living in a new golden age for comic fans I don’t know what is. However, unlike the Golden Age of Comic Books this new golden age is on the big and small screen. In honor of this new era of superhero entertainment I thought I’d take a look at the current and upcoming live action superhero movies and tv shows from both Marvel and DC. 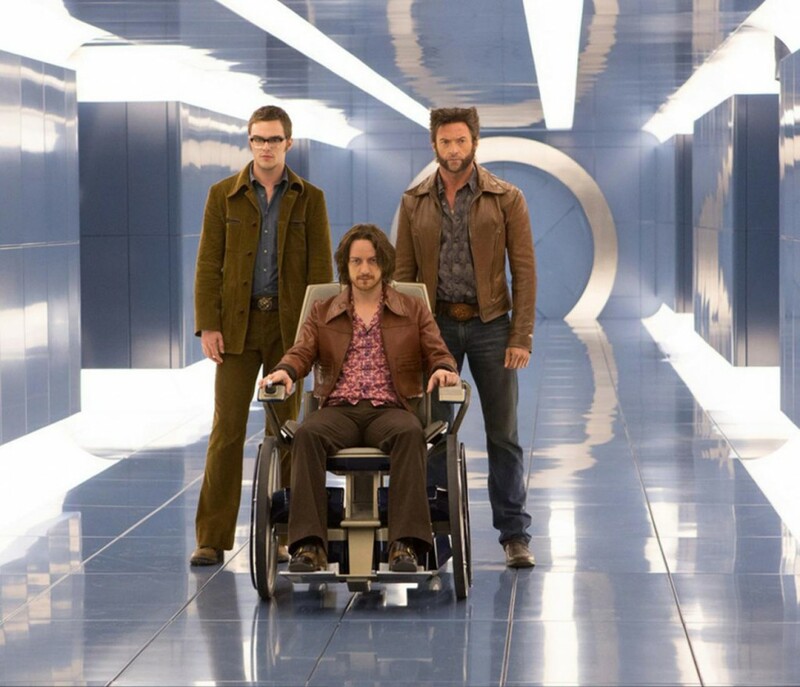 X-Men: Days of Future Past promotional pic: Professor X is groovy. Fantastic Four: Fox is rebooting the Fantastic Four franchise. Currently the only real information out is the cast which has caused quite a stir online. This film is currently scheduled for release on 6/19/15 and if it does well Fox has already penciled in a sequel for 7/14/17. Fox has been setting tentative dates for sequels to The Wolverine as well as future movies in the X-Men franchise. The Wolverine movie should be out in 2017 but any future X-Men movies are likely dependent on the success or failure of X-Men: Days of Future Past. Warner Bros. is hoping to launch their own shared universe based on DC Comics so fans can expect more films to spin out of Batman vs Superman with the hope of eventually bringing the Justice League to the big screen. Marvel Studios has plans to continue the Captain America, Thor, and Avengers trilogies as well as introduce new characters to the big screen. Early rumors hint at a Doctor Strange movie, but it’s too early to know for sure. 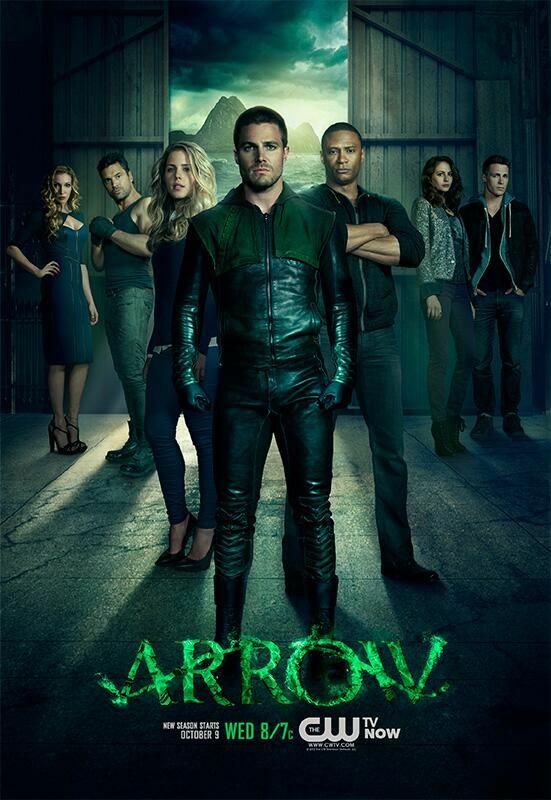 Arrow Promotional Poster: Oliver Queen and company. The Flash: The CW has greenlit a pilot for a Flash television show that is intended to be a spin-off of Arrow. If it gets produced it will exist in the same world as Arrow and feature Barry Allen as the Flash. Gotham: Fox has bypassed its usual pilot process and directly ordered this series for its 2014-2015 TV season. The show is intended to focus on Gotham’s early years following new detective Jim Gordon and along the way is planning to introduce a wide array of Batman villains such as the Penguin, the Riddler, Two-Face, Joker, and Catwoman. They have also cast a young Bruce Wayne. Daredevil: Marvel Studios is teaming with Netflix to create a series based on Daredevil. The series will be a Netflix excusive and premiere in 2015. The series will then lead into series for other heroes and eventually a Defenders miniseries. Jessica Jones: Marvel Studios is teaming with Netflix to create a series based on Jessica Jones. The series will be a Netflix excusive. The series will then lead into series for other heroes and eventually a Defenders miniseries. Luke Cage: Marvel Studios is teaming with Netflix to create a series based on Luke Cage. The series will be a Netflix excusive. The series will then lead into series for other heroes and eventually a Defenders miniseries. Iron Fist: Marvel Studios is teaming with Netflix to create a series based on Iron Fist. The series will be a Netflix excusive. The series will then lead into series for other heroes and eventually a Defenders miniseries. The Defenders: Marvel Studios is teaming with Netflix to create a miniseries about the Defenders. In this iteration the Defenders will be made up of Daredevil, Jessica Jones, Luke Cage, and Iron Fist and will be a part of a shared story with the previous Netflix shows. Have I forgotten anything? Which movie/show are you most excited about? What do you think about this new golden age of superheroes? Let me know in the comments!